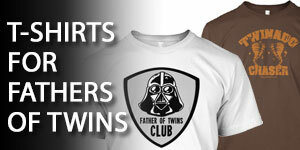 Carrier for Twins: Yes, you can wear them! Choosing a baby carrier for twins can be difficult. Not only are there many designs, but many are sold exclusively online because they are marketed to a smaller audience: parents of multiples. Because of that, you can’t always try before you buy. So here are some options you might consider and a bit of my own advice. The first question to ask yourself is whether you’d like to have two individual baby carriers or one carrier meant for two babies. Both types exist to suit different needs. If you are planning to use the carriers when both parents are present, such as on a family vacation, it may be best to have two individual carriers. We had two Bjorn carriers for just this reason. When one of us parents was alone with the twins, we’d prefer to put them in the stroller. 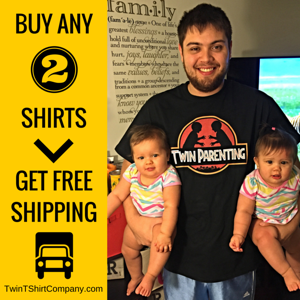 If you want to carry both twins yourself, or if your spouse does, you’ll need a double carrier for twins. This might help you keep both twins with you while you chase around an older child, for example. Some carriers are more like a harness or a backpack for the babies. These include the TwinGo, Twingaroo, or Weego Twin. The general design is straps over your shoulders that connect to saddles for the babies. In general, this type of carrier is easy to get babies into and out of, though sometimes the straps and buckles can be confusing. Another common type of carrier for twins is the sling style. These include the Moby Wrap and the Baby K’Tan. The idea is to have a large piece of fabric that you wrap around yourself and your babies, keeping the twins close to your body. These slings are generally very comfortable, but they are sometimes difficult to adjust and to get babies in and out of. My experience is that the sling works great for newborns, up to about 3 months, and a harness carrier is better after that. Pay attention to what weights the carrier for twins supports. Some are made for very small babies, and others can accommodate your twins as they grow. Of course, you’ll also have to consider whether you want to continue carrying your twins around as they begin to weigh 15 or 20 pounds each! Many parents have raised the concern that babies could actually be harmed by carriers that suspend the child on a strip of cloth running between the legs. These so-called “crotch danglers” are said to cause various problems, but the information I came across with a few Internet searches seemed to be more hearsay than anything else. If you are concerned, go straight to your pediatrician with questions rather than asking Google. 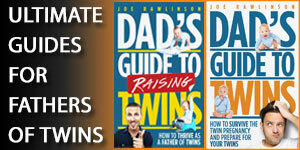 I talk more about carrying twins in Chapter Eight of my book, the Dad’s Guide to Raising Twins: How to Thrive as a Father of Twins. I have twin boys and we have tried all of them (almost!). The Bjorn was great when they were small (10-12 pounds). The TwinTrexx was hot, confusing, and the babies hated it. This was disappointing because I was thrilled with the idea of having a carrier that seemed so versatile. The Moby was, well, impossible for me to get right. We have finally settled on two Beco Butterfly II carriers and they are amazing. Not hard on the back, the kids like them, and they are good as backpacks or front facing carrying. The Beco Butterfly II is pricey, but there are plenty of people who are selling gently used ones so I was able to pick up each for about $90. I know I’ll be able to re-sell them easily as well. Thanks for this blog! @Sarah – Thanks for sharing what worked for you and your twins. Sometimes, as you noted, it takes a few tries to get a good carrier that meets the needs of both the parent and babies. Ended up getting a TwinTrexx and I really liked mine. Once it was adjusted the first time I was ready to go. @Elise – Thanks for pointing out the confusion with the Mobi carrier. 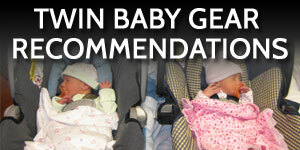 With several carriers for twins available, everyone should be able to find one that works for their twins. I’m glad the TwinTrexx worked for your family. 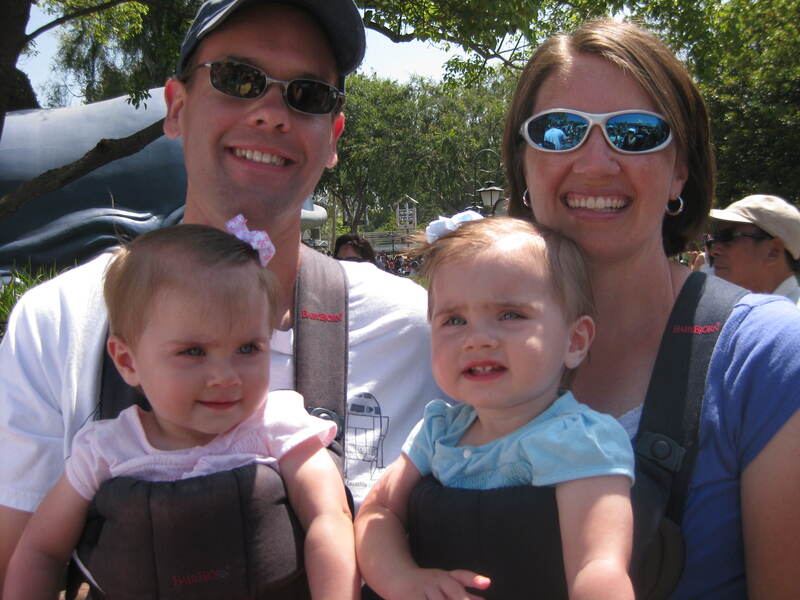 I am looking for a rigid frame back carrier for twins. I saw a guy with one on the mountain last week, but cant seem to find anything like it anywhere. @Jeffry – I’ve only seen single baby rigid frame carriers like the Chicco Smart Support Backpack. Good luck with your search. Any luck Jeffery? Looking for same thing. Are there any framed carriers that allow you to carry your twins on your back. I’m not to concerned about weight. @Vic – I haven’t seen a twin carrier like this.